Colorblocking has made it’s way into mainstream fashion and it’s here to stay! I love the look of a bold colorblock. It’s fun to incorporate many different colors into one single look. 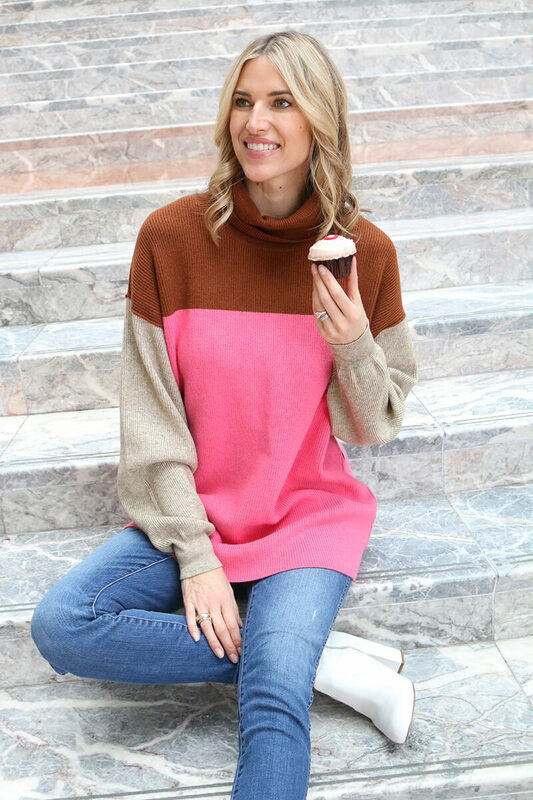 This chunky knit turtleneck sweater is fun, stylish and has the warmth of 100 blankets! It is guaranteed to give you a big and bright personality even on the gloomiest winter day.